【5" Large Screen & Adjustable Brightness】5'' borderless LED Large screen and elegant curve design bring you ultimate visual experience. 3 projection brightness and 4 screen brightness can be adjusted according to your need separately. 【HD Projection & 120° Adjustable Angle】Projection range is 0.5~3m and optimal projection distance is 2~3m. The projection angle is 120 degree adjustable (from -30° to 90°). 12/24 hours modes selectable. 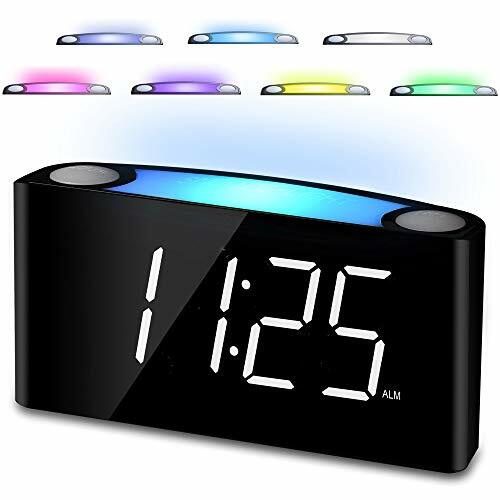 【Dual Alarms with Snooze】 Digital alarm clock radio can be easily set two separate wake times, wake you up at desired time with your favorite Radio Station or a Buzzer. Dual alarm with snooze button allows 5~60 extra minuts of sleep. 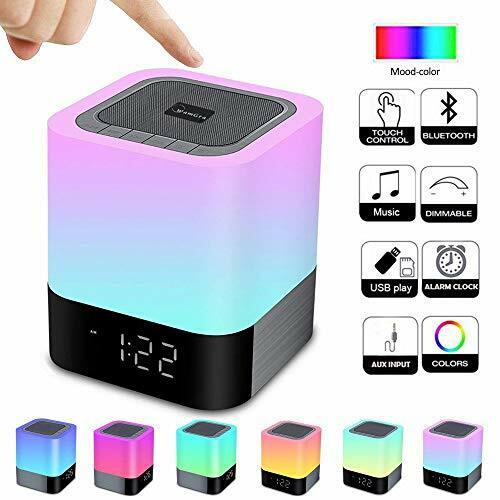 【FM Radio & Timer Function】The signal reception range of this FM alarm clock is from 87.5 to 108.0MHz and the 33-inch antenna at the back of the unit can be extended for better reception. You can save up to 15 stations for quick and easy access. 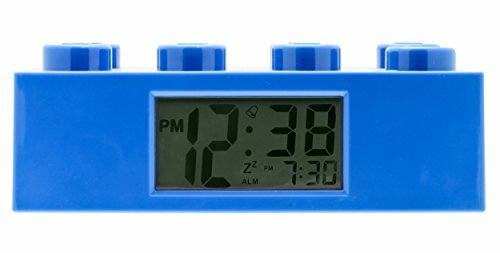 Timer function allows it close automatically after you falling to sleep. 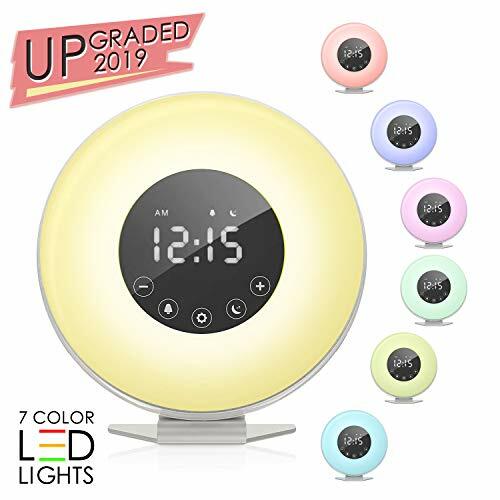 【Battery Backup & USB Charging】AC powered for functions of radio, alarm and time display, battery (included) ensures the memory of all settings during a power outage. 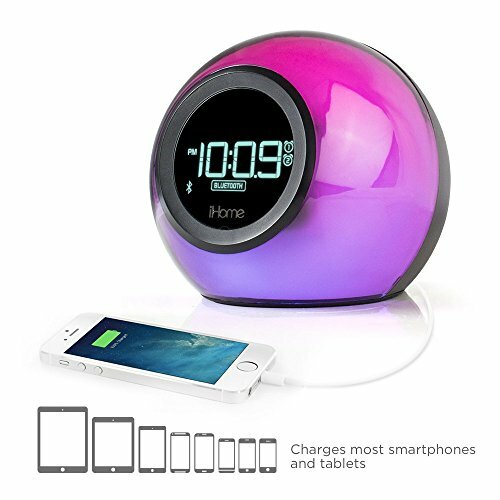 5V/ 1.2A USB output interface at the back of the clock allows you to charge your iPhone, Android smartphones and tablets. 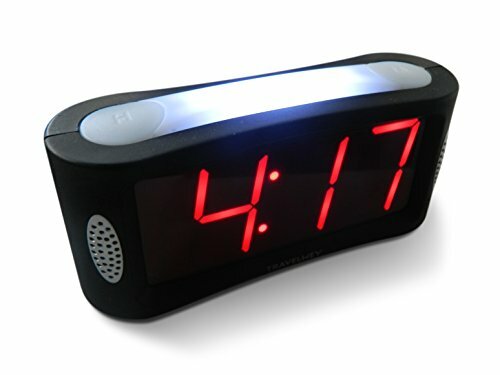 Curved-Screen Large-Readout Dual Alarm Clock --- Fashion Home Decor, Made to Fit Your Life.